"In Colonial America, life was both difficult and challenging. Not only did people fear real dangers such as attacks by the French and Indians and the tyranny of English kings, but they also had a superstitious dread of the supernatural. Like their fears, the tales they told in taverns and at home gatherings were a weaving of fact and fancy. "While devils, demons, and evildoers spiced some of the tales our settlers told, many stories centered about heroic generals, friendly Indian chiefs, or simply honest neighbors. As time went by the colonial people with their romantic imaginings fashioned legends from these oft-repeated anecdotes. Those tales that have come down to us give a fascinating glimpse into the thinking, behavior, and pattern of life of the people as well as the great events of that time. Here are some of our favorites." Notes: The 14 tales in this 127-page paperback include "The Oak That Helped Outwit a King," "Jonathan Moulton and the Devil," "Old Meg, the Witch," "The Goose From Flatbush," and "The Mystery of Pelham House." 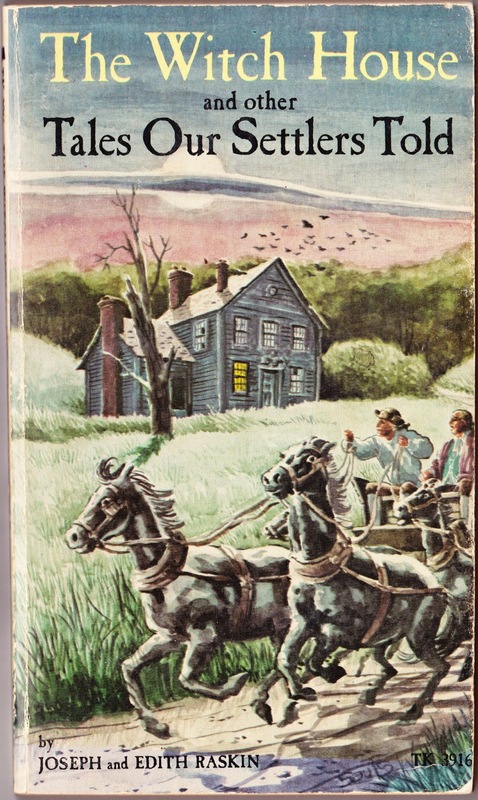 ... Other books by the Raskins, a husband and wife team, included Ghosts and Witches Aplenty: More Tales our Settlers Told, Indian Tales, and Strange Shadows: Spirit Tales of Early America. ... Joseph Raskin died in 1982 at age 84. According to his short obituary in The New York Times, he "studied at the National Academy of Design, which awarded him several fellowships for his work. His paintings and etchings have been exhibited in galleries and institutions here and in Israel." ... 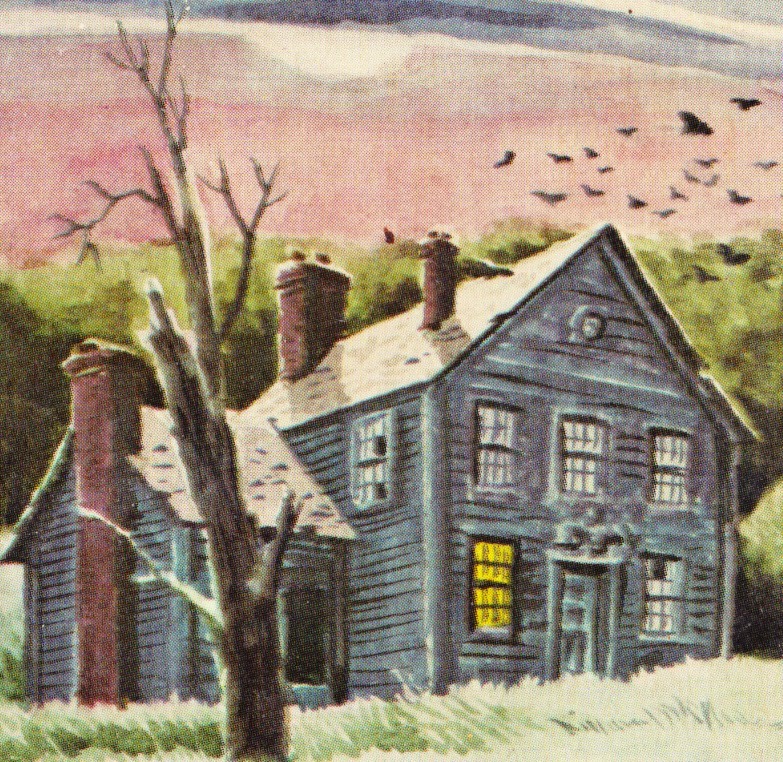 The illustrator of The Witch House and Other Tales Our Settlers Told now lives in Souderton, Pennsylvania, and now goes by William Sauts Netamuxwe Bock. He identifies as a member of the Lenape tribe of Native Americans. His website, www.heartandsoulartworks.com is well worth checking out.